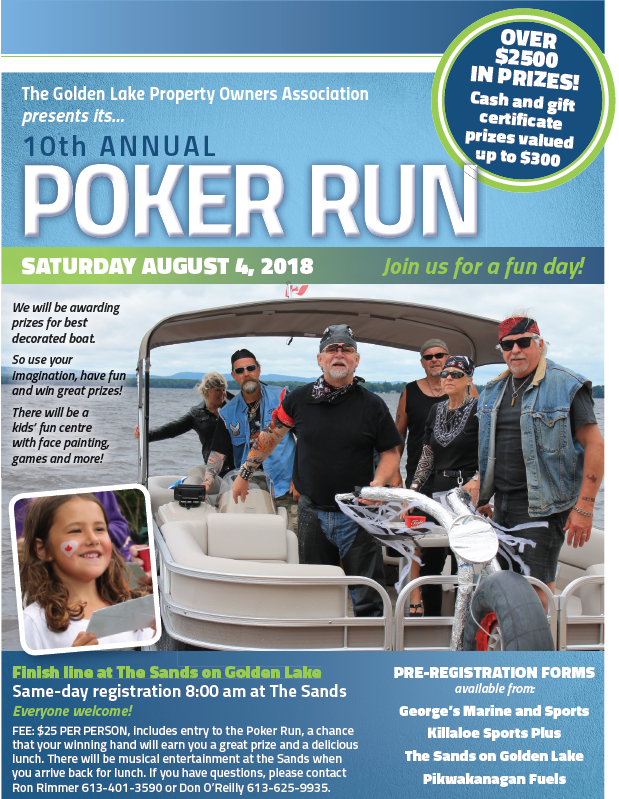 The GLPOA Annual Poker Run is a fun-filled event, held on the Saturday of the August civic holiday weekend each summer. It has become a signature event on the lake, and should not be missed! The event is geared towards boating, with participants on each boat selecting a card at each of the many boat stops around the lake, to make up a poker hand. 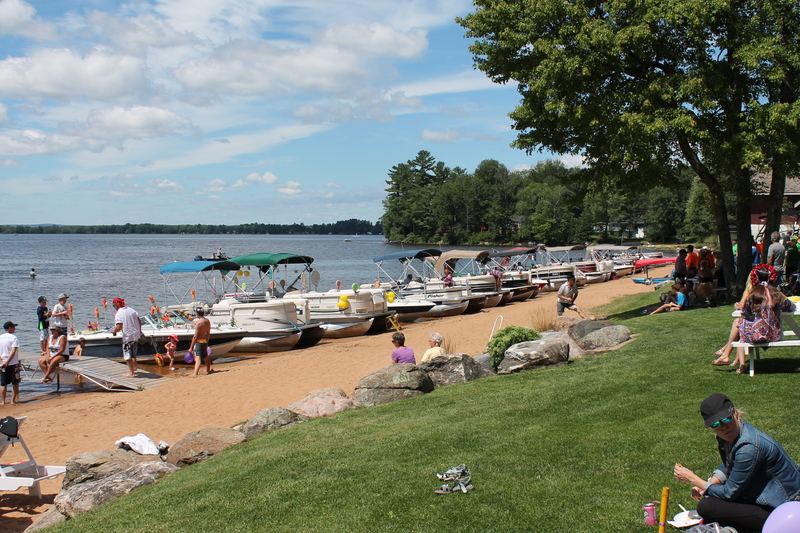 At the end of the morning, all participants gather at the Sands on Golden Lake beach, to register their poker hands and see who takes home the many prizes available to be won. 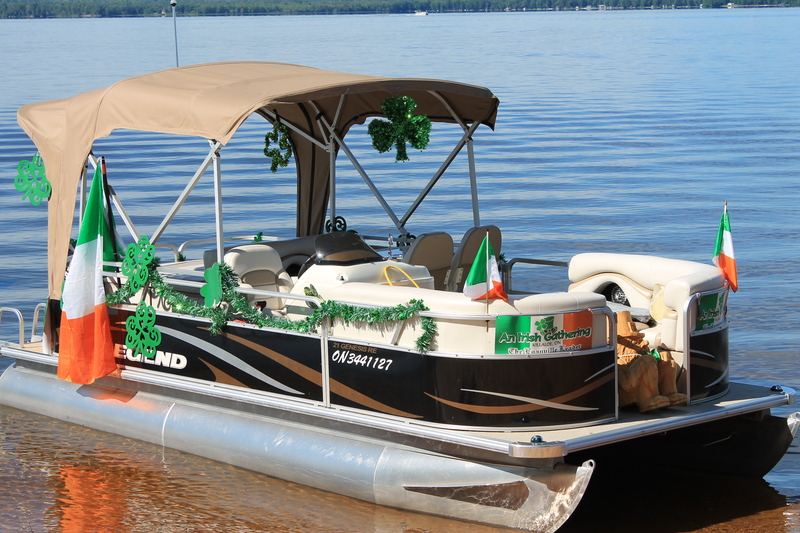 There are a number of prizes for the best poker hands, as well as for best-decorated boats. By the way, if you don’t have a boat, no problem! Just come down to the Sands on Golden Lake before noon by car, and you can select your poker hand cards at the registration table, to be eligible for the best poker hand prizes. Lunch is provided as part of the entrance fee for the Poker Run. As well, there is a Kids Zone area for the younger crowd, which keeps the kids happy and busy while the adults relax and enjoy the facilities at the Sands. After lunch, the prizes are awarded to the lucky winners! Tickets for the event are sold during the late spring and early summer at local businesses. Stay tuned for more information regarding the Poker Run details as the summer approaches. Good luck!